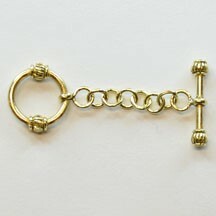 Handmade Java Brass Chain, Beads and Findings custom made for Bobby Bead in Java, Indonesia. 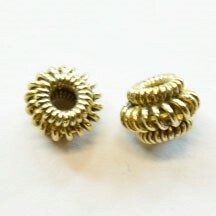 Java Brass Connector-1 to 1 Spiral Connector-12mm Long, 6mm Wide-Stock# JB-SK004-50- 50 Grams. 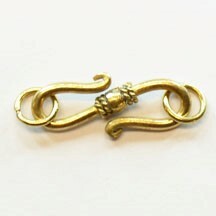 Java Brass S-Hook-S-Hook with Coil in Middle and Rings-21mm x 8mm-Stock# JB-TG0012-50 -50 Grams. 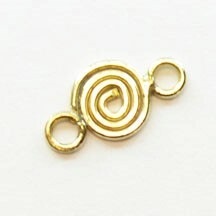 Java Brass Bead-Wire Wrapped Rondelle-5x6mm with a 2mm Hole-Stock# JB-GS0028-50 50 Grams. 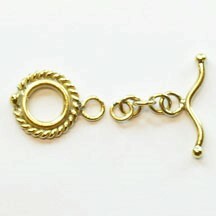 Java Brass Toggle-Bali Style Toggle Set-17mm Long with a 19mm Leg-Stock# JB-NC5001-50 -50 Grams. 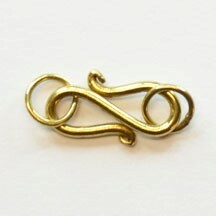 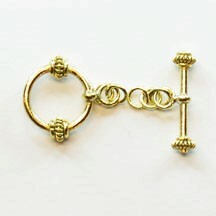 Java Brass Toggle-Twisted Ring with Handlebar-17mm Long, 12mm Ring with 19mm Leg-Stock# JB-GT0015-50 -50 Grams.